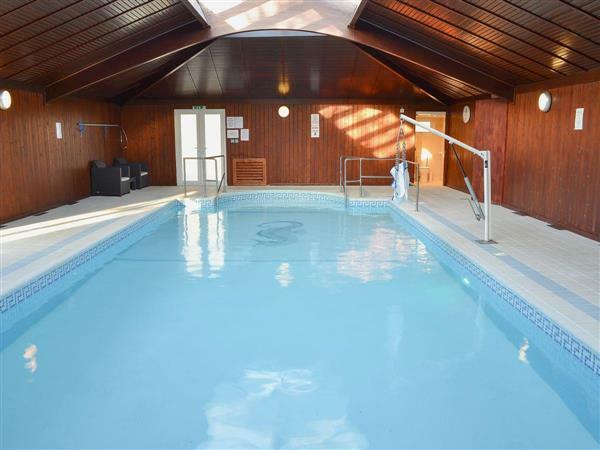 Lavender Lodge, Raynham Cottages in South Raynham, Fakenham, Norfolk sleeps 6 people. Situated in the peaceful village of South Raynham, a perfect setting for exploring excellent sandy beaches, coastal walks, and RSPB nature and bird reserves. Each cottage boasts its own hot tub and seating furniture within the secluded garden. Guests also have shared use (together with another property, not featured here) of the large indoor swimming pool. Just a 10-minute drive is the bustling market town of Fakenham with pitch and putt golf course, and horse racing meetings. Burnham Market, Wells-next-the-Sea, Holkham, Hunstanton, Norwich and the Norfolk Broads are local places of interest. Shop 5 miles, pub 3 miles. Spacious living/dining room. Large kitchen. Double bedroom with 6ft bed, TV, electric flame-effect fire and en-suite wet room with toilet. Twin bedroom with TV, electric flame-effect fire and en-suite bathroom with corner bath, shower attachment and toilet. Further twin bedroom with TV and en-suite shower room and toilet. Separate toilet. Note: Rowan Cottage (CYL) and Honeysuckle Cottage (CYM) have an interconnecting door, Lavender Lodge is situated within the grounds. The three cottages can be booked together to sleep up to 16 people. For a better idea of where Raynham Cottages - Lavender Lodge is, you can see Raynham Cottages - Lavender Lodge on the map below. Raynham Cottages - Lavender Lodge is in Norfolk; should you be on the lookout for a special offer, you can find all the special offers in Norfolk. It's always worth checking to see what is on offer at the moment. Do you want to holiday near Raynham Cottages - Lavender Lodge (CZS), you can see other cottages within 25 miles of Raynham Cottages - Lavender Lodge; have a look to find your perfect holiday location.